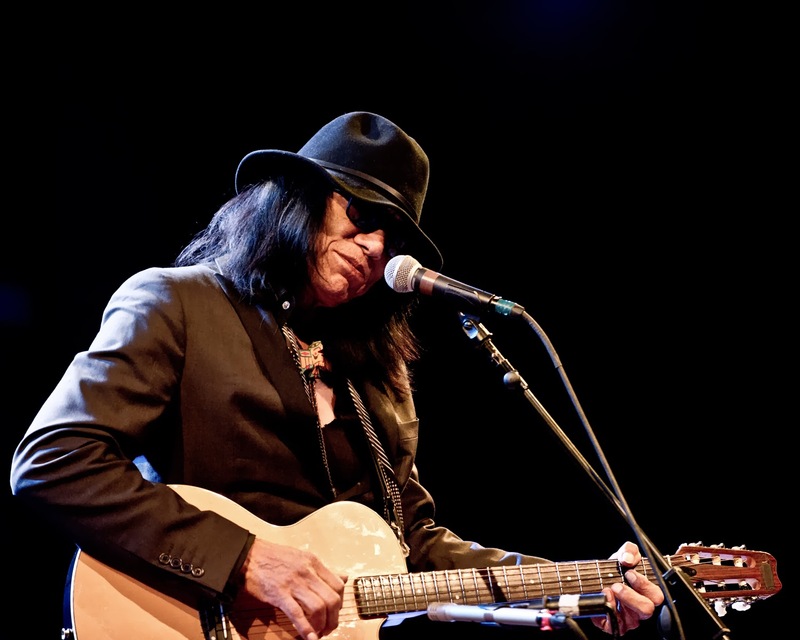 Rodriguez, the legendary singer-songwriter known only by his surname, is a self-taught guitarist. He began performing in bars and clubs around the city of Detroit in the 1960s, as the city suffered post-industrial urban decay. It was there that he recorded two studio albums, Cold Fact in 1969 and Coming from Reality in 1971. These compositions went unnoticed in the U.S. and Rodriguez eventually turned his efforts elsewhere, earning a bachelor's degree in philosophy from Wayne State University, running for political office and working construction and factory jobs to support his family. In the late 1990s, South African fans finally sought him out, leading to the unanticipated renaissance of his music career. Their story is told in the 2012 Oscar award-winning documentary, Searching for Sugar Man, which has given Rodríguez a new measure of fame in the U.S. and his music is now reaching audiences worldwide. Rodriguez now tours extensively in South Africa, Australia, Europe, and the U.S., where he takes thoughtful appreciation in greeting longtime fans, and a new generation of listeners who find common ground in his music. His albums, Cold Fact and Coming from Reality have since been re-released on Light in the Attic records and the Searching for Sugar Man soundtrack is available on Sony Legacy. International media attention and accolades have since been bestowed upon both the film and the music.